1. Keep Your History Clean- You've heard it before and you can't hear it enough! The less claims you have on your loss history the better. Most people don’t realize that many little claims prove much worse than one large claim on your record. From an underwriter’s perspective, if you continuously file claims for little losses, they expect that trend will continue, making you less appealing in their eyes. On the flip side, accidents and mother nature happen, therefore one large claim on your record is manageable. Work with your agent on whether or not to file your claims. Your agent will help you decide if the claim is worth having on your record for the next 3-5 years before filing it. 2. Clean Up Your Online Presence- A good online presence is good for your business, right? Only if it reflects your true overall operations. Too often businesses advertise services they no longer offer, or they list services that make them seem bigger than they really are. Doing this could result in a higher insurance premium. Insurance underwriters prove relentless when researching online for insureds to verify the information we are providing matches what you advertise online. If they come back to our agency regarding something not disclosed originally, they may treat the account with skepticism. You don't want a skeptical underwriter! Once they become skeptical of your operations, we find it more difficult to negotiate any credits or pricing that could potentially benefit you. 3. 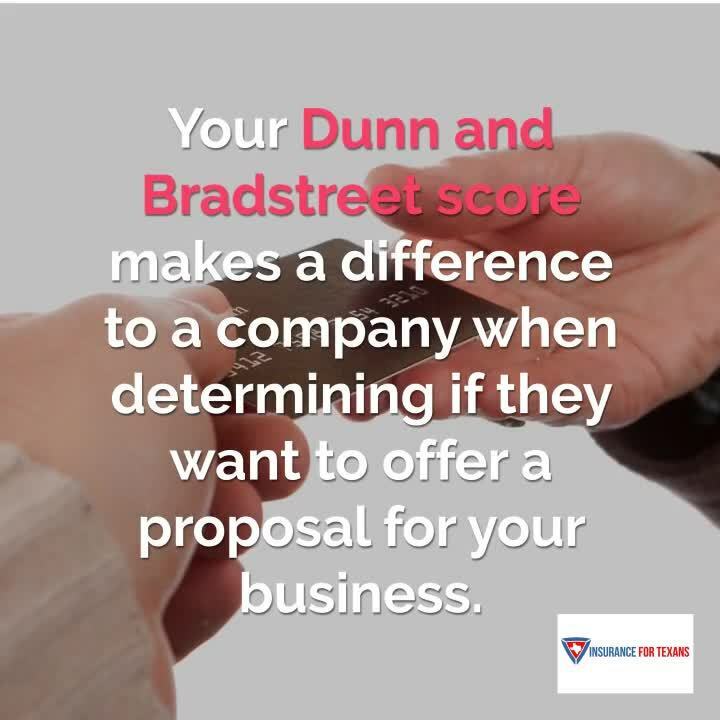 Pay Your Bills- Your Dunn and Bradstreet score makes a difference to a company when determining if they want to offer a proposal for your business. Your financial history could allow or keep you from accessing some of the best markets available for commercial accounts. Therefore, it is important to make sure your company keeps your financials pristine as possible. 4. Lapses- Do not let your policies lapse. It is better to renew your coverage and cancel than let a policy lapse. A lapse not only puts you in a situation of possibly having a claim denied during the time, it also sets you up for failure when you start looking to replace the coverage. No insurance carrier desires insureds with a history of failures to pay and lapsed policies. Who do you think the underwriter is going to look more favorably on, an account with multiple cancellations and reinstatements, or an insured who has maintained coverage without any lapses? 5. Higher Deductibles- Choosing higher deductibles can help lower your premium on property insurance. However, your company must have the savings set aside to cover the deductible if you have a claim. Everything is bigger in Texas, including hail storms. North Texas is the bullseye for hail storms so in the last several years carriers have started to implement split deductibles. A split deductible is where you have one deductible for wind and hail claims and another for all other perils. Recently, most wind/hail deductibles have ranged from 1%-5% of the building value. Of course, the higher the premium you pay, the more savings you will have applied as you are taking less risk off of the carrier and assuming it yourself. Any time you take the risk away from carriers, the more it benefits you. 6. Shopping Your Policy- The best option you have to shop your policy is to partner with an independent agent who has access to multiple markets. A lot of people think moving their insurance regularly is a bad thing and we can argue both sides of the debate. First, moving your insurance every year just because of a slight increase is not beneficial. Doing this too many times will make you undesirable and you might be left in the dust when one of your prior markets with the best rate won’t take you back. Many times, we can discuss any increases with underwriting on consistent accounts to see if any credit can be applied. Most carriers would rather work with you to keep your business than lose it, especially if you are a good client. On the flip side, it is beneficial to shop your insurance or have an insurance agent which shops your insurance for you every couple of years. Rates constantly change and an agent who handles business insurance will know the markets with the best appetite and pricing for your business. Moving for better coverage is never a bad idea but if you are just jumping for a price break, you may be shooting yourself in the foot in the long run! Insurance doesn't have to cost a fortune, and your coverage doesn't have to suffer. At Insurance For Texans, we enjoy finding great deals, just like you. Consider us your insurance outfitter. We'll help you hunt for the elusive coverage and rate combo. Then, tell your friends about us after we help you land the best coverage at the best rate.